OLLS - Maintaining Standards For All. Online Learning Schools Accreditation (OLLS) is an independent not-for-profit quality and standards organisation, appointed as an external accreditation entity. OLLS’s mission is to protect the public by conducting accreditation activities that ensure graduates of accredited programs receive a high quality education and are well equipped to employ their knowledge and skills. Developing standards for the education and training. Assessing higher education providers and the programs of study they offer to determine whether they meet the approved accreditation standards. Supporting higher education providers in developing and maintaining high quality programs of education and training. Giving confidence where it is needed, means having an accredited qualification. 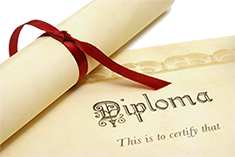 Copyright © 2015 - OLLS - Online Learning Schools Accreditation.